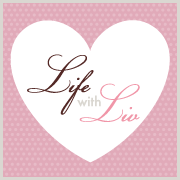 Life with Liv: Looking for Valentines inspiration? Check out my gift guide. Looking for Valentines inspiration? Check out my gift guide. With Valentines Day just a few days away, I have put together some different gift ideas for anyone who is still struggling. Love is in the air . . . . .
How about the new BRAUN series 7 Shaver? The Braun series 7 is a fantastic high performance shaver, designed to deliver better comfort as well as efficiency, this is down to its three stage cutting system and flexible head, which adapts to all of the unique contours of his face. This new offering from BRAUN has a 30% increased shaving area, combined with 1,064 holes, 10,000 micro vibrations in every stroke and 30.000 cross cutting motions catching hairs as short as 0.05mm, this is likely to be the cleanest shave yet. Apart from the close shave, my Husbands favourite feature about this model is Braun's patented Clean and charge system which kills 99.9% of germs while charging in the stylish looking base (pictured). RRP £299.99 - price is at the discretion of the retailer so shop around! 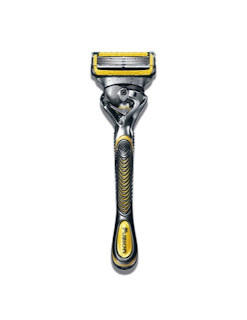 If he is more of a blade Man, how about the new Gillette ProShield razor? The Gillette ProShield introduces a new lubrication strip, situated before the blades to help protect and prevent the skin from irritation while shaving extremely closely. The new cartridges fit all Fusion and ProGlide handles and come with a precision trimmer for accurate edging. 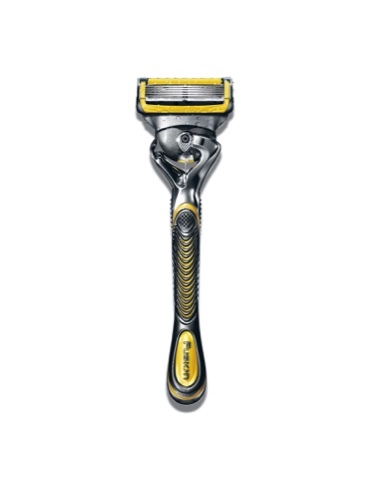 My Husband is a big fan of Gillette razors and has already subscribed to regular deliveries of these blades. He said the shave is as close as his Fusion Power blades but smoother so definitely worth changing too as his face sometimes get irritated from shaving so often. RRP £12 from all good retailers. Brilliant Inc is a luxury jewellery boutique in Sloane Square London dealing primarily in a stunning collection of non-mined fine diamonds. 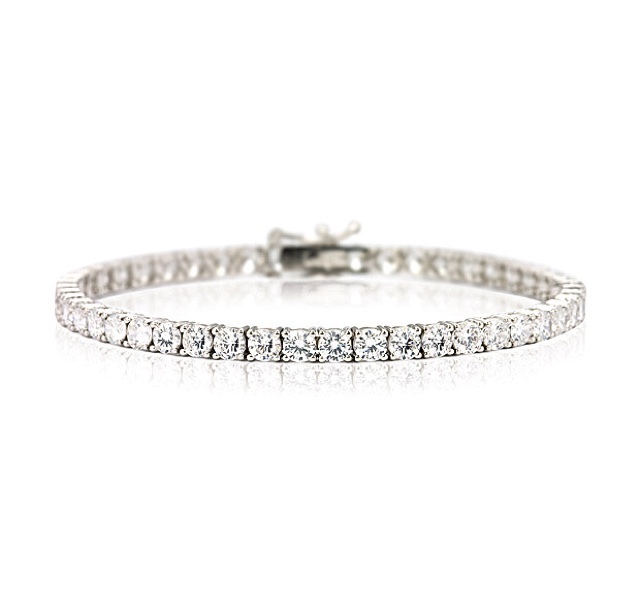 This non mined diamond tennis bracelet is set with 48, 4mm round stones, in a four prong sterling silver setting. With a beautiful fluidity, this 7 inch bracelet is very comfortable to wear and is definitely an eye catcher - even from across the room. For safety reasons it has been finished off with a double security clasp, which clips closed and is then reinforced by clicking two small arms into place over the lock, helping prevent it accidentally opening. Always design led, you can be assured that each simulated stone is carefully chosen, before being hand set by master jeweller craftsmen in solid gold or sterling silver. The finished designs are presented beautifully in a luxurious box, complete with velvet pillow and finished with a lovely sleeve and satin bow. Brilliant Inc offer a complementary clean, so if you are popping in store, be sure to take your previous buys with you! Why not pop over to www.brilliantinc.co.uk for a look at the full range? 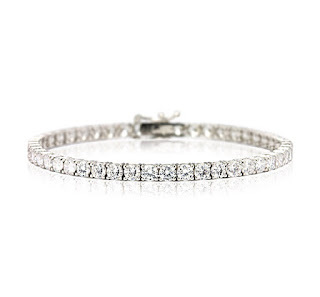 Priced at £245 for 10ct (image shown) or £295 for 27ct. Fresh cut roses Yankee candle. 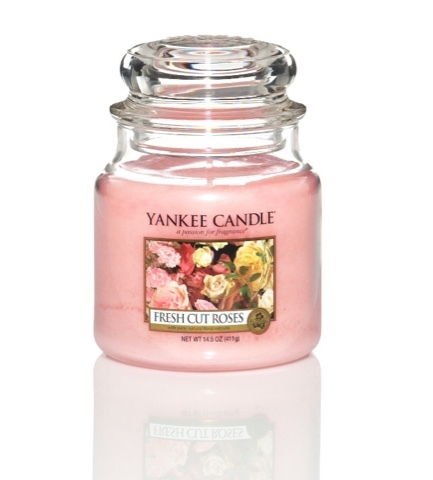 Instead of a bunch of roses that will last a few days, how about a Fresh cut roses Yankee candle? I absolutely adore this scent, it smells so fresh and not at all overpowering like some floral candles. It literally smells like a fresh bunch of beautiful flowers all through the downstairs of my house. I would be thrilled to receive another one on Valentines Day! Burning for between 110 and 150 hours, it will definitely last a lot longer than real roses! Priced at £21.99 for a large. 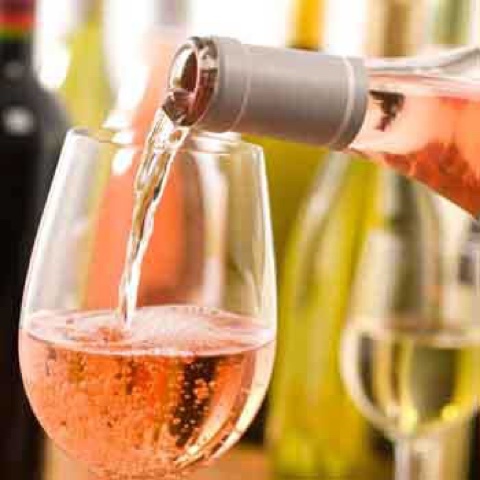 The Ned Pinot Rosé is a new launch from Marisco Vineyards in New Zealand and is the perfect Valentine’s day wine. Personally I am very with rosé as I really dislike any sweetness, so if like me you enjoy a lovely dry rosé then I highly recommend this bottle. Creamy and delicious, with a classic bouquet of red berries and hints of rose, this delicious rosé will be an ideal aperitif or a great companion to our Valentine dinner! The ABV for this wine is 13.0, the bottle contains 9.8 units and has a screw cap should you have any left over. 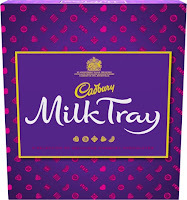 Why not settle down with a box of the one and only Cadbury milk tray at the end of the Evening? 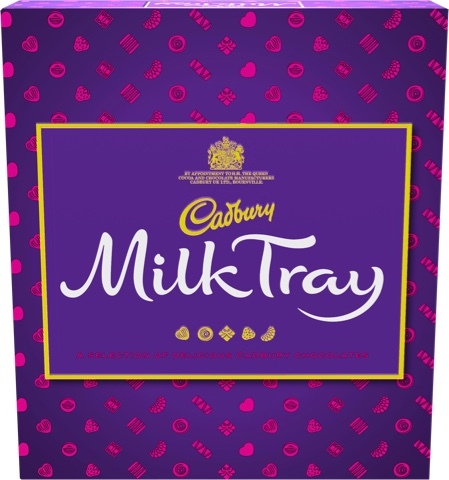 With it's iconic colours and flavours, the Milk Tray box has been the perfect way to show your love for over 100 years. My Husband is a Praline lover, Orange is my favourite, while Liv makes a grab for the Strawberries, which flavour is your favourite? Available at all good retailers. RRP: £1.00 for a 78g box, £4.25 for a 180g box, £8.49 for a 260g box and £12.99 for a 530g box. This gorgeous piece of furniture has real character and is also very useful. 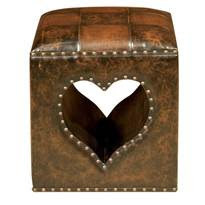 Made from various shades of brown distressed faux leather, it is completely wipeable - which is a big plus when you have a 4 yer old who has really taken a shine to it! Weighing 5kg, the Chateau chic heart cube Ottoman is a sturdy piece of furniture that can easily be used as a spare seat if required. Measuring 46cm high and 40cm wide, it is small enough to fit in to any room yet it really does make a big impact. 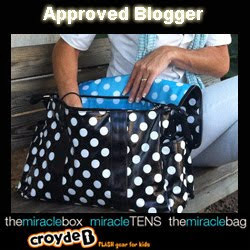 We love ours and have had many positive remarks about it already! Like an experience day to remember? From riding Segways, a spa getaway or romantic hot air balloon ride, with life so busy, why not make a full day or Weekend out of your gift? 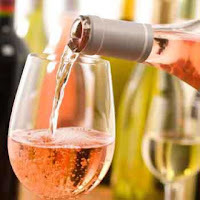 We have our eye on this wine tasting experience in London for just £39.00! What a perfect way to spend an evening together, and we may even learn a thing or two in the process. 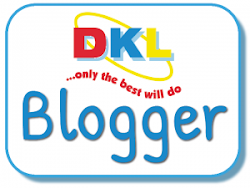 What would you like to do for your experience day? Disclaimer - some of the above products were sent to us in consideration for this feature, however all opinion is our own. Struggling for gift inspiration this Mothers Day?